Every other month I look forward to Quinn McDonald’s column in Stampingtons Somerset Studio. She has a no-nonsense way to get right to the heart of things and I always find something that resonates with me. Her new book is written with that same tone. 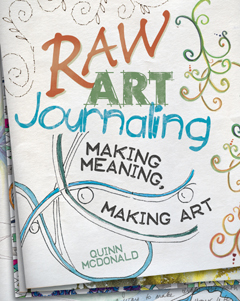 When she talks about what ‘Raw Art Journaling’ is, you know right away that no matter what your skill level, you can glean new insight and focus from her book. This book offers practical ways to overcome common obstacles in journaling as well as actual ‘how to’ techniques. What I really love is that they are presented in an open way that leaves the reader with free rein to implement the techniques in their own way. I totally feel that I can use this book and enhance my own journaling without losing my style. That’s important to me. Journaling is a way to express our individuality, and the goal should be self-improvement, discovery, and show our journey, not just reflect what someone else is doing. My favorite parts, were the chapter on making meaning with words, and the lessons on Tangled Words and Words So Big They Disappear . These things can enhance anyone’s journaling experience and are as unique as each of our own handwriting! 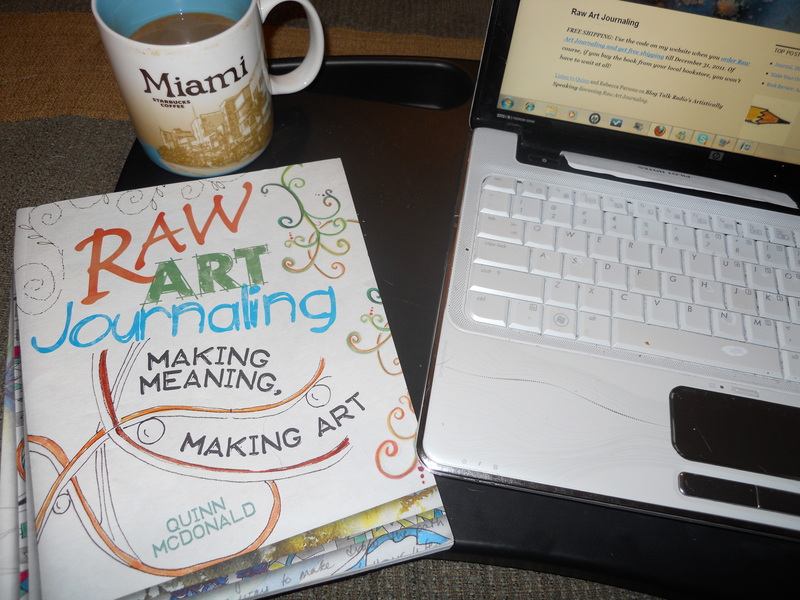 In the chapter Making Meaning With Imagery, Quinn encourages the reader to really look at what’s around them and use that imagery in their journaling. How much journal inspiration do we miss because we don’t look at the seemingly insignificant closely enough? Over all I feel this book would be helpful to both those new to journaling and seasoned journalers. 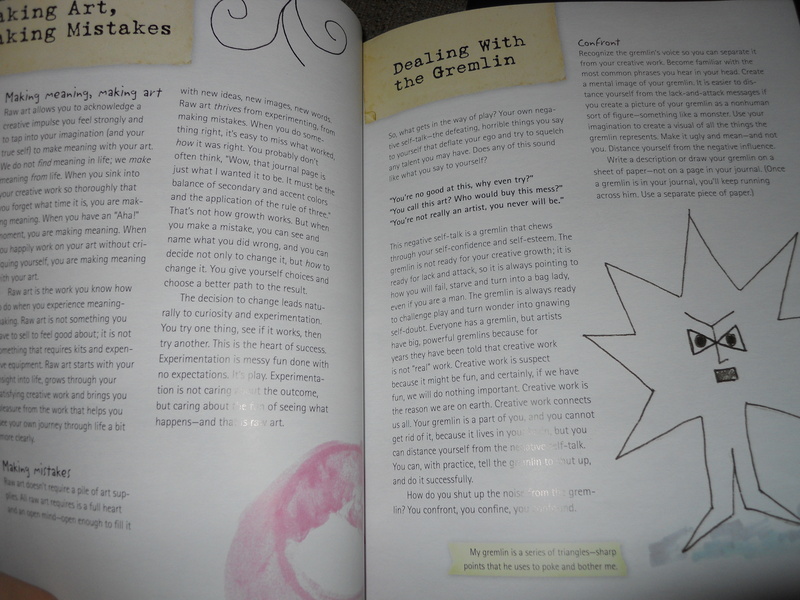 It provides a lot of inspiration for creating journal pages fearlessly. I’m very happy to add this book to my collection of keepers! Quiet your gremlin, grab your permission slip (it’s on page 19) and start making meaning in your own raw-art journal today. Thanks for the thorough review. This book sounds like it would be useful for artists in general and not just journalers. 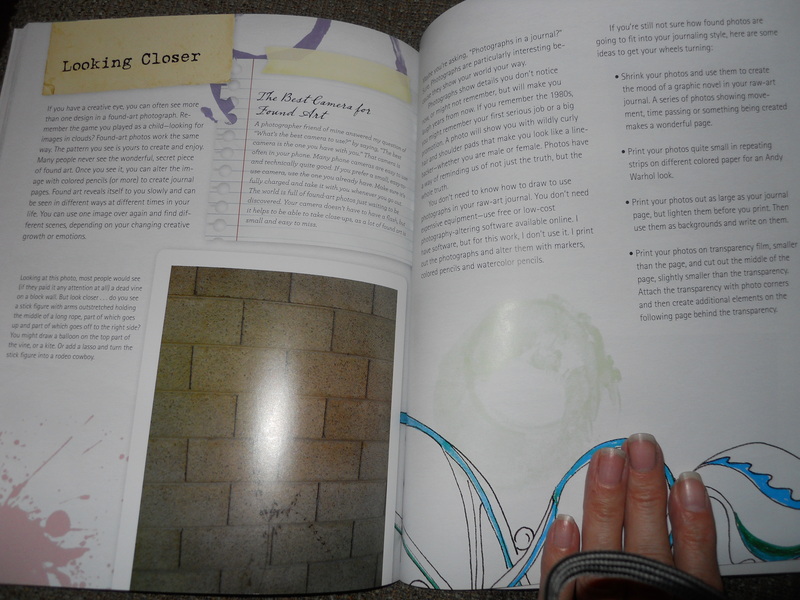 dearest pam….i have your book ‘art at the speed of life’ and i am deeply inspired by its pages. i have used the techniques and am thrilled with the artwork that is pouring out me because of the book and its ideas. i struggle with selling my artwork and hope to overcome that obstacle VERY soon. i teach a mixed media class here in the san francisco bay area. i have incorporated some of the books techniques into the class, i hope you don’t mind. thank you so much for sharing with me, so that i might share with others…i look forward to your updates!!! I enjoy stopping by here to see all you are creating! Thanks for the wonderful review. What means the most to me is that you got the really important part–Raw Art Journaling is not a kind of art, it’s the art each person does for themselves, to make meaning. Thanks so much for this great post, Pam!